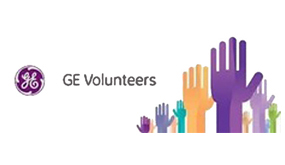 GE Volunteers is a global network that includes GE employees, retirees, Affinity Groups, friends and family — “good people doing great things” — all supported by GE businesses and corporate resources. The mission of GE Volunteers is to facilitate and support volunteering activities that improve life and meet critical needs in the communities where GE people live and work around the world. These activities are carried out through a wide range of projects in the areas of health, education, the environment and community-building. Corriamo tutti insieme per la LILT!